Show the human side of your brand, and give your audience a VIP pass backstage into the everyday. You may be working on a new project, entertaining industry legends, or highlighting the office antics. Some of the most engaging and ‘realistic’ images are those created by your fans and followers. Share the love by sharing their content directly with your audience. It’s a great way to spread the digital word-of-mouth too – if real people love your product, new people are more likely to take notice of you. Check through posts that you have been tagged in. If you love them, repost them. Who doesn’t love a bit of ‘inspo’ in their feed? Sharing relevant and engaging quotes about your industry can be a really effective way of getting your message out there, in an artist way. You can even post text about your business (i.e. your business tag line). Statistics don’t have to be drab and boring numbers. Make them engaging and interesting by overlaying them on an image, or experimenting with colours and infographics. Try using statistics from your own research. For example, you could list how much product you have sold since your first day in business, or comment on how many years you have been in operation. Humour is a valuable asset when it comes to social media. Nothing engages your followers more than a good giggle. So get creative and experiment! Get the creatives in your office involved in the Instagram process. Stand out with imaginative doodles you have drawn yourself, or repost from other graphics pages if you find relevant illustrations. There’s something about an illustrated image that grabs people’s attention straight away. Working off the back of your inbound marketing strategy, promote the content on your site via Instagram. If you are creating blogs or eBooks, use the feature image of the story as your next Instagram post. Adding the content link in the bio section of your account will help direct more readers to your content. Similarly to content promotions, highlight your product in action with images on Instagram. But keep these to a minimum – Instagram isn’t about heavy product push, rather, the artistic image. So keep those creative juices flowing when promoting your product through Instagram. Keep it fun and light-hearted. It’ll engage your audience’s interests organically. Standard video – just an ordinary video, typically filmed on a smartphone. Hyperlapse video – these are videos that are time-lapsed and sped up at the same time. This can help you decrease the length of a normally long video, and condense it into 60 seconds. Makes the video more interesting to watch too. Boomerang video – Using the Boomerang app (available from Instagram), you can take a short video and turn it into a series of quick-cut frames. This creates the illusion of a moving still image. It’s not quite a video, but it’s certainly not a regular image either. Boomerang can take a bit of experimenting to master, but is highly effective. GIFs are everywhere! But they are still loads of fun to look at. They can convey ideas, messages, and thoughts with great accuracy using pop-culture references. That’s part of what makes them so much fun. Sites like GIFly allow you to search through libraries of GIFs and share them to your social channels, including Instagram. If you want to get really adventurous, why not try creating one yourself? There are plenty of free resources online to help you out. At Chilli we use this feature quite a lot for our clients on Facebook, then share cross-platform to Instagram. Who doesn’t like FREE stuff? Get your followers in on the action with contests and giveaways via social media. This is an effective way to promote the launch of a new product or spark interest in a new business venture. Provide your followers with a call-to-action like “Like To Win”, “Tag 3 Friends”, or “Comment Your Answers” and watch your engagement analytics sore! There are so many different kinds of contests you can host on Instagram; the sky is the limit. Artistically, mosaics are one of my favourite visuals on Instagram right now. And the best thing is, they are really easy to create. Mosaics are still a new concept to Instagram, which means not too many people are taking advantage of them just yet. But they are a great way to draw attention to your feed for promotions or announcements (or even just gorgeous images you want to showcase on a large scale). Simply slice one image into at least three 800 x 800px squares for a long, skinny image. Alternatively, you can create nine square slices instead and fill the mobile feed view. Get your followers and friends talking about your brand online. Instagram is the home of friend tagging. So why not promote your followers to add more people to the conversation? This is best accomplished with images that provide a talking point. Cross-promotion on social media is an easy way to let your followers know about your other channels. It is very easy to integrate your Instagram posts with your Twitter, Facebook, etc. This is an excellent strategy to try and increase your followership across other channels also! 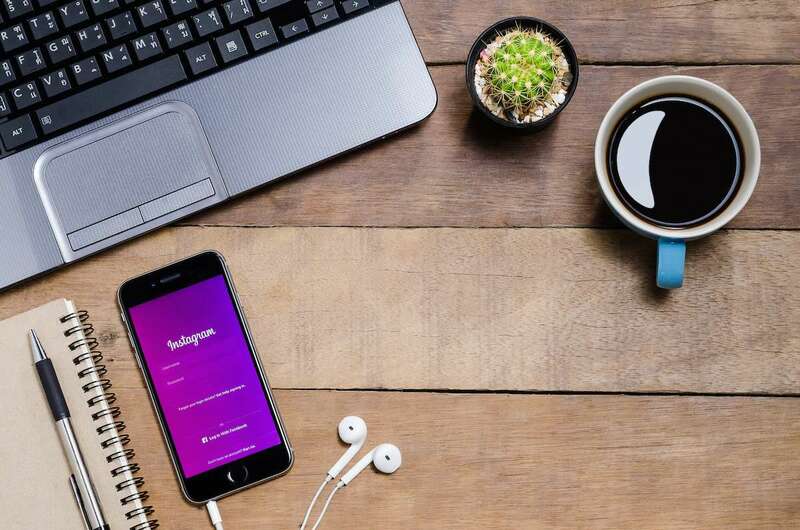 It may sound unconventional, but if you are in need of new staff, Instagram can be a great starting place to get the word out there. Posting a simple call-to-action image, including a trackable link, can help you identify potential interest and candidates for your new job opening. Tying all of this together are effective hashtags. You can find out more about hashtags in our previous blog, ‘Hashtag Highjacks To Help Your Business’. Looking for some more social media inspiration? Download our FREE Beginners Guide To Social Media eBook here. You’ll learn how to get started, and how to quickly master the right channels for your business.